Our Intellectual Property (IP) Director will be responsible for managing global IP portfolio, including patents, copyrights, trade secrets and know- how. This role will report to Company’s SVP and CLO and, will work closely with other attorneys and key business executives around the world, to determine both current and future opportunities to optimize IP positioning. An International key actor from the Construction Sector. France (headquarters are based in Paris) with reasonable international travels . Attractive remuneration and package, in proportion to the role. Excellent French and English skills, both written and verbal, are mandatory. Other languages are a plus. As of now, the role can be started as a Transition Management position and, then, converted into permanent position. Full time job, 5 days / week. Thanks to forward us a Word document including your COVER LETTER and your updated RESUME (in FRENCH), respecting the requested TEMPLATE 2 application format from our website, mentioning the 435 reference. Please send a unique / central file. Only complete applications, strictly answering to the expected criteria, will be addressed. If no answer was given to you after a period of 10 days, please consider your application as not selected. If this role isn't right for you, don't forget to forward it to your own network - it may be perfect for someone else! 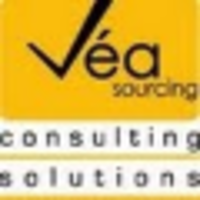 VÉA Sourcing helps you to recruit your Project Managers, Experts, Management Consultants, Interim and Transition Managers, worldwide.